Everyone should be able to go to a website and do what they want with a minimal amount of effort. What makes a website accessible? An accessible website should be perceivable, operable, understandable and robust. A website is perceivable when you provide text for any non-text content like images, videos, podcasts or other sound files and provide alternatives for time-based media. 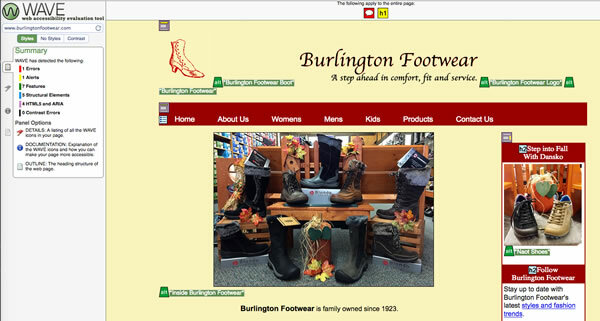 An operable website makes all functionality available via keyboard and provides users enough time. Your website is understandable when you create content that is readable and understandable. It becomes robust when your create it using techniques that maximizes future compatibility. You get started by adding accessibility to your website with HTML, CSS and files names. Add alt tags to images. Not all images need the alt tag. If your image is for decoration only, you can skip the alt tag. Use color contrast. The right color combinations can make text either easy or hard to read. Try Lea Verou’s color contrast tool. Make your file names meaningful. Your camera gives your images names with long sets of letters and numbers. Rename them to describe the image. Meaningful names can help with SEO and finding an image if you need to updated it later. Add a label to every form element. 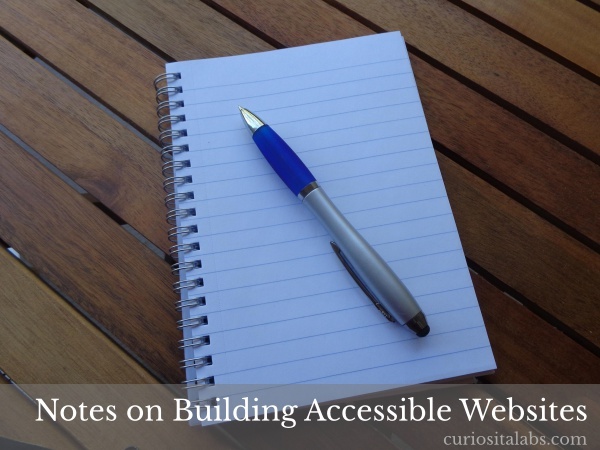 How do you know how accessible your website is? You can use the following tools to determine your websites accessibility and take steps to fix issues. Wave is an accessibility evaluation tool. It can help you to make your content more accessible. It shows you errors in red, warnings in yellow and accessible content features in green. A screen reader for the Chrome browser. Use ChromeVox to learn how a visually impaired person has to use your website. Use your keyboard to navigate through your website without using your mouse. If you need to use your mouse, then you have some items that need fixing. Do you use Chrome for Your Development? Ire Aderinokun, UI Designer and Front End Developer, talks about the Chrome Accessibility tools that she uses to test for accessibility issues. While you develop your next website, use these tools and tips to ensure that you build a site that is perceivable, operable, understandable and robust. By using a variety of tools, you can help to make the user experience better for all of your users. Want to learn more about accessibility? The A11Y Project is working to make web accessibility easier for web developers to implement.